"Unforgettable" - Aretha Franklin (p voc); Buddy Lucas (hca, ts); Ernie Royal (tp); Bob Asher (tb); Teddy Charles (vib); Ernie Hayes (org, p); Paul Griffin (org); George Duvivier (b); Gary Chester (dr), a.o. The present tribute album was recorded just a few months after Washington’s death and presents her most important and successful numbers, sung by her 23-year-old successor, who obviously feels quite comfortable when treading in the great singer’s footsteps. 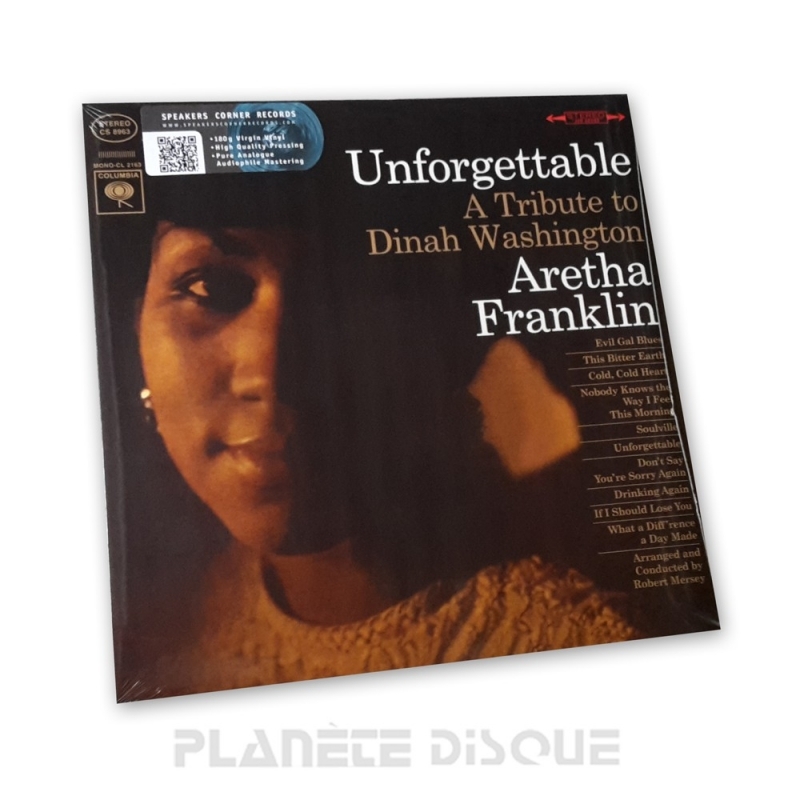 In "Unforgettable", a laid-back number with a string background, Aretha captivates the listener with her ever-changing vocal colouring and gospel-like ballad feeling. In the second number, "Cold, Cold Heart", there is already evidence of a shimmering, subliminal blues nuance which is shot through with pointed harp phrases and the 'sucking' sound of the Hammond organ. While an old-fashioned bluesy style supported by a powerful bigband is characteristic of "Evil Gal Blues", unconventional arrangements using obbligato trombone ("Don’t Say You’re Sorry Again") are also found in this fascinating and highly varied line-up of numbers. Now, more than 40 years after its release, this album pays tribute to two unforgettable interpreters of black music.